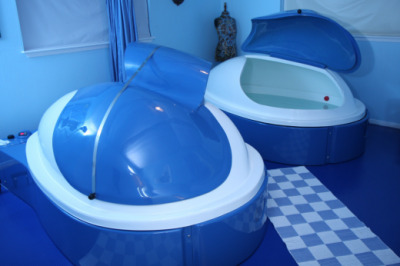 There is a lot information about the benefits of float tanks and sensory deprivation. After floating people claim they are less stressed, sleep better, more creative and all around feel better physically + mentally. Sure, some of these benefits are real. However, when you start to take care of yourself in a way that you haven’t before, you feel better all-around. For example, if you get a new gym membership you may start eating healthier, sleeping better, feeling more confident. Some of these benefits are actual results from the gym, but some of these are rollover effects because you started putting energy into taking care of yourself. In that sense, floating also has a lot of cumulative effects but what are the real health benefits? There is a lot of research on the benefits of meditation, and we have always considered floating to be meditation on steroids. So there should be some crossover, right? The scientific benefits of meditation include decreased anxiety + depression, increased compassion + emotional intelligence, helps with emotion regulation, improves focus, memory + attention, etc (Seppala). To see what crossover between meditation + floating, and to start uncovering the real benefits of floating, we first turned to Dr. Feinstein. Dr. Feinstein is a clinical neuropsychologist and lab director at the Laureate Institute for Brain Research (http://www.laureateinstitute.org/justin-feinstein.html). His lab is dedicated to understanding how floating can help connect the body and the brain and reduce levels of depression, anxiety and anorexia, by using wireless and waterproof machinery to scan the body and brain during floats. We had the chance to meet with Dr. Feinstein and his lab partners at the 2016 Float Conference, and listen to them speak at the 2017 Float Conference. They have tremendous amounts of research done on fear, anxiety, emotional awareness, memory and are continuously working to understand the biological and physical benefits floating has. Want to learn more about the benefits of floating, where to float and how to get started with a regular practice? Start with our FREE Float 101 mini course here. In a study done by Norlander et al, two groups of people — floaters and non-floaters — were tested in visual logical puzzles, freeform brainstorming and standardized questions. At the end of the test it was found that the float group performed 50% more original in freeform brainstorming, but 30% slower in solving visual logical puzzles. Our bodies get an “anxious” feeling in response to our fight or flight signals. When needed, fight or flight helps us become alert, aware and on guard ready to protect ourselves from an outside threat. However, our world today has created a scenario in which many people’s fight or flight response is constantly running and people experience heightened levels of anxiety, panic and fear. The Amygdala is a portion of your brain that responsible for controlling your fight or flight and your stress, fear and panic responses. Dr. Feinstein has done extensive research on floating affects the amygdala and found that, flotation and some anxiety medication have the same effect on the brain (Schumann). Likewise, Psychiatrist Martin Paulus, president and scientific director also at the Laureate Institute, says “The amygdala is very reactive to things coming in from the outside—somebody looks at you funny, or you hear a sound that’s scary,” Paulus says. “That kind of stress is good when the guy looking at you is about to steal your wallet, but elsewhere it’s counterproductive” (Vigneron). This is partially a cause of anxiety and Paulus theorizes that floating reduces the reactivity of the amygdala. Patients suffering from chronic whiplash disorder tested out a sensory deprivation tank to treat pain, and it was found to be a meaningful and substantial tool for pain reduction (Edebol, Hanna, et al). Not only does sensory deprivation therapy reduce the reactivity of the amygdala, it also lowers cortisol levels. Cortisol is the hormone produced by humans when they are under stress. However, many people experience adrenal exhaustion and cortisol is constantly being produced leaving one feeling constantly stressed, overwhelmed and anxious. It was found that blood-cortisol levels were significantly and temporarily reduced after float tank therapy, producing a state of deep relaxation (Turner and Fine). Because of lowered of cortisol levels, many people feel associated benefits to stress reduction as well, such as improved sleep quality and lowered blood pressure. With many great athletes using sensory deprivation — Stephen Curry, Aly Raisman and JJ Watts — it is no wonder that floating has become a popular form of training and recovering for many other athletes as well. And good news, there is scientific evidence showing how floating can improve athletic performance. One study found that based off judges opinions, athletes that floated performed better than those who didn’t amongst college basketball players (Wagaman, et al). Mentioned earlier, Dr. Paulus believes this is because athletes that float have a less reactive amygdala allowing them to think clearer and stay more composed during high-intensity activity as compared to their peers that don’t float (Vigneron). With all of the above mentioned benefits, that are real, what do you need more of in your life? 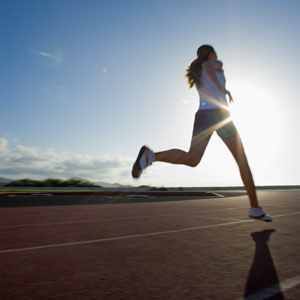 Looking to improve your own athletic performance? Want to reduce stress and anxiety? 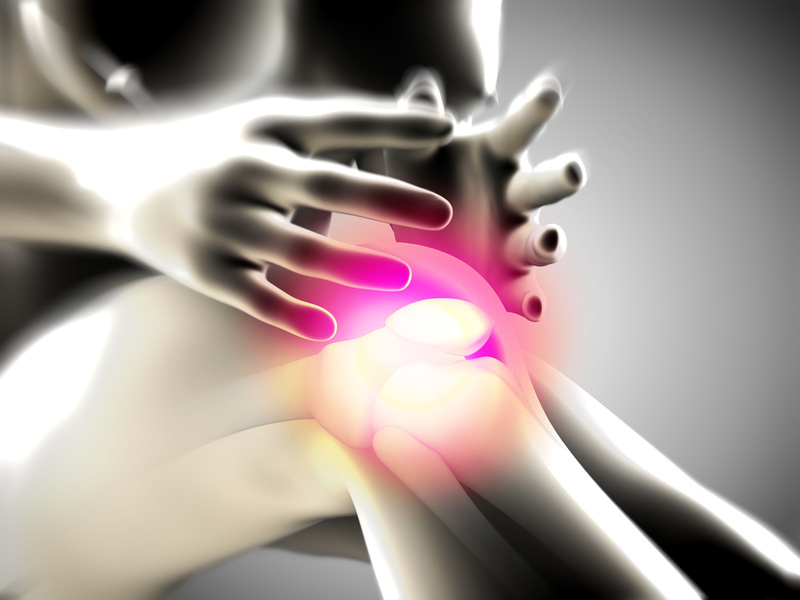 Still searching for the best method of pain management? Why not try hopping in a float tank and see how it can change your life? The relaxing benefits and physical relief that can be achieved by floating is well known but did you know that floating can also be used as a therapy treatment for drug and alcohol addiction? In fact, studies have proven REST to be very effective in helping individuals stop smoking. This is because when you float your brain produces theta waves, usually produced when someone is sleeping. And when you float your brain can access the theta state for a much longer period of time, which allows longer access to the deeper parts of your subconscious mind where addictions take root. Beyond that, floating also promotes the release of endorphins in the body which regulate your mood and creates the feelings of joy and happiness commonly associated with drug and alcohol effects. The feeling that you're left with is a natural high that is hard to achieve anywhere else. Now you might be thinking, "This sounds crazy! Are you really telling me floating can help me break my drug or alcohol addiction?" While we can't guarantee anything and say, Yes 100% it will, we can speak for one of our float family members who it did, Elbert Hartman. Elbert tell us, "Since I began floating, I have lost over twenty-five pounds, resumed my long lost yoga practice and quit drinking alcohol completely. My life has become extraordinary and I know that floating has played an instrumental part in allowing this to manifest within me." Another one of our float family members, Ryan Lawson, says "Since owning a float tank I have made a breakthrough in my relationship with my wife. I also have been cutting my alcohol drinking tremendously. I don't even keep alcohol in the home anymore, its more of a social thing. No more bars either. We are saving so much money! I also quit an 18 year drug addiction!" So as you can see, for some people, floating can be extremely helpful in not only breaking an addiction but helping to improve all other aspects of life! Controlled studies have also shown that 25% of people who underwent REST therapy ended up quitting smoking and remained free of nicotine for up to five years. Plus, REST therapy combined with various other techniques like weekly support groups showed that 80% of study participants were smoke free for at least a year and a half. In order to benefit the most from floating sessions should take place on a fairly regular basis, allowing your body and mind a chance to replace cravings and anxiety with feelings of relaxation and peace. You can start by going once a week or more, depending on how you feel and how often cravings start to sink in. When used properly, float tanks can be an effective and safe treatment that anyone who wishes to break an addiction can try and benefit from. You never know how one float session just may change your whole life. Feeling inspired to schedule your first float session? Check out our friends at FloatationLocations.com to find a local center near you! Just like leather or wine, some things only get better over time. And we'd like to think that floating is one of those things too. However, for a lot of people, floating is something they only try once or twice before they automatically throw into the "it just wasn't for me" category and really give it a fair chance. Or they wait months and months inbetween float sessions so it's hard to really feel the mental, physical, or spiritual benefits. Want to learn everything there is to know about owning a float tank? Start by downloading a copy of this free guide. We always preach that if you're going to give floating a fair shot you have to try it at least three times. This is because for most people it usually takes the first couple of sessions to get past the initial frustration of bumping into the walls, fully relaxing your muscles, and truly quieting your mind. But by your 4th or 5th float, it's usually much easier to hop in and immediately tune out. And this is when the magic really starts to happen! Because we all float for different reasons it's hard to say exactly when someone should float and how often. However, the more you float, the quicker you'll discover what type of routine works best for you. Night floating vs morning floating. 60 minute sessions vs 90 minute sessions. Many people find meditation frustrating because they don't know if they're doing it right or they just have a hard time quieting their mind for a long period of time. But the nice thing about float tanks is that they create the perfect meditation environment and are designed to help induce deep meditative states. Therefore, floating not only complements your meditation practice but it enhances it too. Once you've floated a good handful of times and are comfortable with letting go right away, the actual time inside the tank becomes of less importance and each float session becomes more about going with what feels right. Developing a regular floating routine is one of the best self-help practices you could incorporate into your life as it helps you become more in tune with your mind-body connection. From the second you lie down in the water, you can feel the areas where you hold the most tension or can recognize the thoughts that seem to be reoccurring the most so you can begin to work through them. When you practice operating from a calmer, less stressed state of mind, everything in your life also becomes calmer and less stressful. Your mood is better, relationships begin to improve, and things that once got you worked up and upset now have no effect on you. Ready to start floating more regularly? Floating at home is the best way to commit to a regular float practice and it can save you hundreds if not thousands of dollars a year! Download this guide that will show you everything you need to know before you consider buying. Ever heard the saying, "Listen to your body, it's smarter than you." Well, there's a lot of truth behind this simple phrase. While your mind is not always the most honest with you, your body is stays truthful and cannot tell a lie. When we need to sleep, we yawn and feel tired. When we need to be refueled, our belly growls and we feel hungry.When we need to recover, our body aches and we feel stiff. Anxiety comes in all different forms but racing thoughts, feeling distracted, and lack of sleep are just a few of the common side affects. When you're anxious, it's simply a sign of your body telling you that you need to calm down. While meditation can be an easy and accessible solution to this, it sometimes feels impossible to focus your mind when you're anxious. This is why floating in a sensory deprivation tank is so powerful, because it creates the most ideal environment to achieve deep levels of meditation and relaxation. 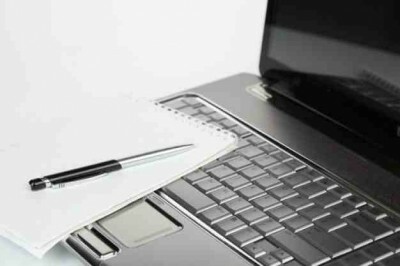 Struggling to get your creative juices floating? Whether you're working on a post for your blog or just helping your child with their upcoming art assignment, lack of creativity can often be a sign that you have too much on your mind. Sometimes all it takes is an hour to disconnect with the world and reconnect with yourself to get the creativity flowing again. We've all had those days at work where there's a big project that needs to get done but you just can't seem to stop pacing around the office. You're restless, and antsy, and nothing can get you to focus. It's okay to be distracted every once in a while, but if you've found it happening more than usual it may be time press pause and reset your mind. Float therapy is a excellent technique that many have found to improve concentration because it forces you to literally focus on one thing and removes all possible distractions. When the body is stressed your muscles can become tense. It’s an automatic response and your body’s way of guarding against injury and pain. While it's most common for your muscles to tighten in your upper back, neck and shoulders but it could happen in any parts of your body and is a sign that those muscles need some extra care. And what could possibly be better than soaking your muscles in 800lbs. 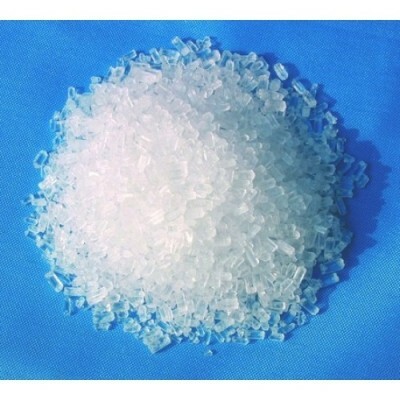 of epsom salt? If you find yourself sinking down in the dirt, there's no better time to (literally) float it out. The primary cause of unhappiness or negative thoughts is never the situation itself, but your thoughts about the situation. Often times you just need to take a step back in order to shift your mindset into the right place and the elimination of external stimuli in a float tank it produces chemical changes in the body that allow for clarity of thought. Like a plane needs fuel, your brain needs sleep, and neither will run for very long on empty. Studies show that among other things, your body uses sleep to stabilize chemical imbalances and to process the memories and knowledge that you've gathered throughout the day. If you're having trouble remembering details it could be a sign that you need to rest your mind. While it may be hard to squeeze in a few extra hours of sleep, it's been said that floating for one hour is equivalent to four hours of sleep. Learn more about how float therapy can help you relax, refresh and rejuvenate in our Free Float 101 Online Course. Floating is a perfect bonding activity for couples. 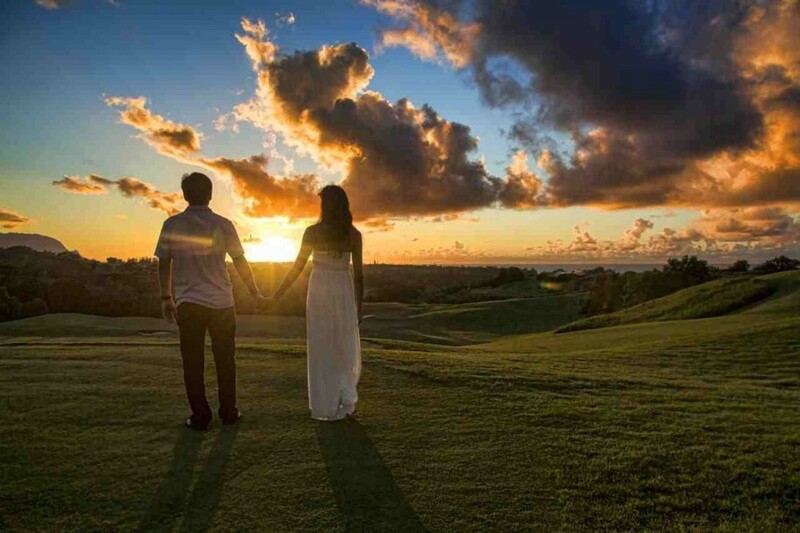 Picture the perfect date night: dinner, shopping, a movie, a concert or something as simple as a walk in the park. For extra romance, a date night may even include a couples’ massage or a night’s stay in a hotel. Now you can add floating to an already perfect date night mix. It may seem counter-intuitive at first, but floating really can be a perfect activity for couples. Floating sessions are an individual activity, of course, but two tanks can equal a perfect date night activity. Many couples will schedule a couples’ massage to relax and connect through a shared experience. Floating can produce the same relaxing effect and offer the same avenue for connection through a post session discussion. Every couple faces stress from work and home. Often stress found in work and family life creates roadblocks for a couple trying to have fun and relax. It can magnify problems and create friction and fighting in a relationship. Floating may not repair a relationship, but it does offer therapeutic effects. This can be in the form of both positive mental and physical energy. Floating sessions calm frayed nerves and harried thoughts. Floating sessions relax tired bodies and minds. People will come out of the floating sessions calm, relaxed and refreshed. The rest of the night can be freed from stress and the couple is liberated to enjoy each other and to build their relationship. Floating can also be a good activity to add to a girls’ day out. Many women already go to spas and undergo different treatments like massages, facials and body wraps to rejuvenate their skin and body. Adding a floating session to regular spa activities will create the ultimate girls day out. A floating session is also a perfect way to start out the weekend. Doing a Saturday morning floating session, for example, allows people to recover from a work week and start out the weekend with their batteries recharged. When it comes to floating the possibilities are endless. Floating has so many health benefits, that it is really the perfect fit anytime someone needs to rejuvenate their body and mind. Floating makes your brain work smart instead of working hard. There’s a better way to get ready for final exams instead of staying up all night studying. Floating can unlock your brain power and help you get better grades. What is the connection between a float tank and the classroom? A simple answer is that floating opens the door for improving concentration and retaining short-term memories. Living in the digital age has made it harder for the human brain to carve out time for deep thinking. A fast food mentality has seeped into virtually every aspect of life. We don’t just want everything right now. We wanted it yesterday. This fast-paced world is creating a brain strain. A study done at the University of California, San Diego found that the average person living in the United States in 2008 processed three times the amount of information as their counterparts did in 1960. This is one reason why people now seem more rushed and frantic to get things done and less effective in doing those tasks. Getting away from the noise and stress of the outside world calms the mind. It helps people refocus on what is important. 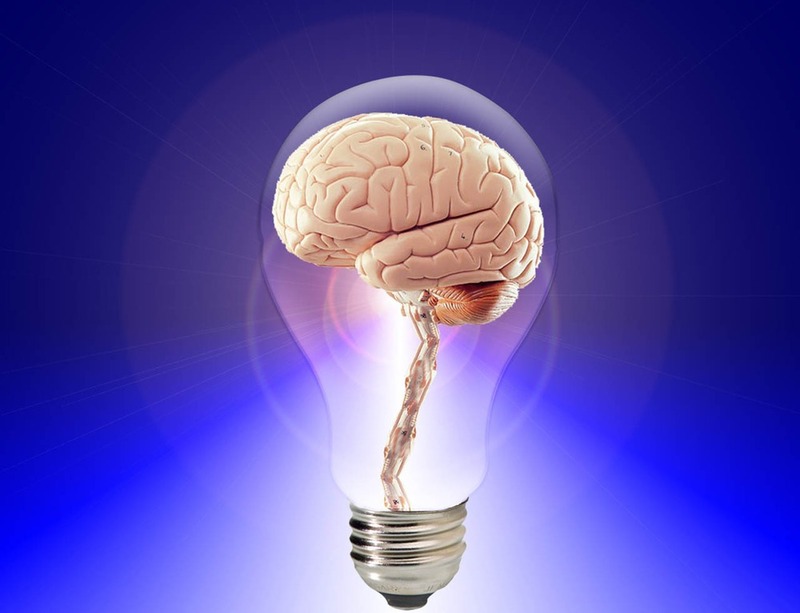 Their brains work better because they become more attentive and improve their memory. Spending even an hour inside an isolation tank is enough to calm your brain. You allow yourself to think more deeply than normal. Doing this will unlock your subconscious mind. It will stimulate creativity and innovative thinking. After your time in the tank, problems that seemed impossible to solve may finally offer a solution. The mental clarity you get from floating beats a cram session any day of the week. It is like having an internal study aid and tutor rolled into one. One of the questions we are frequently asked by our customers is, can children float? The answer is yes! Children as young as 9-years old can float with a guardian present. In fact, floating in a sensory deprivation tank is perfectly safe for older children. The water is shallow and salty, so it poses little danger of them drowning in the tank. Many tank models function on a water depth of just 10 to 12 inches. Still, it is a good idea to monitor your children while in the tank so that you can be there to help them as needed. Childhood can be a time filled with innocence and happiness. It can also be a time ruled by irrational fears. Common childhood fears, like a fear of monsters hiding in the closet or under the bed, can make life difficult for a child. They sleep less. They adopt poor eating habits. Their mood goes from happy to depressed. Being inside a dark enclosed space like a sensory deprivation tank can help children address these fears in a controlled environment. They can see what is causing those fears and become empowered through discovering solutions on their own. Spending time in floating can also help children fit in better at school. Floating sessions allow for changes in learning habits and social behavior. If a child is struggling to make friends or having a difficult time getting good grades, a few hours in a sensory deprivation tank each month can give them a chance to unlock their mind and learn how to overcome those obstacles. Giving children the chance to float makes it easier for them to be happy and healthy in every sense of the word. It will help make their childhood a time filled with pleasant memories instead of crippling fears. In summary, enjoying time in a float tank is not an experience meant to be reserved for adults. Many children can draw benefits from spending time floating. It opens the door for them to solve problems and cope with fears just as much as it does for an adult floater. If your child has tried floating and has had a good experience, we would love to hear about it in the comments below or privately in an email. There is no denying that floating has a powerful impact on the mind. Studies have shown that brain waves are altered in significant ways when a floater spends significant time in an isolation tank. Is floating dangerous? That’s a common question for many people who are unfamiliar with how an isolation tank works. They hear crazy rumors and start to think that floating in a tank will simulate the high experienced on drugs like LSD. Popular culture helps perpetuate this myth. 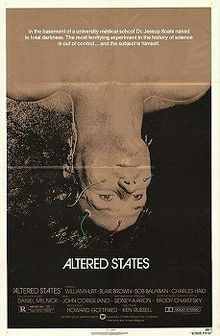 Movies like Altered States portray characters devolving into lower life forms and losing their humanity as a direct result of sensory deprivation while floating. Such a concept might make for an entertaining movie, but it is far fetched. It is true some people see certain images and hear certain sounds inside an isolation tank. Nothing about the experience endangers the mind. Quite the opposite is true. Floating impacts your five senses in positive ways. You see, hear and feel things that heal your body and your mind from the damage caused by the outside world. Mental benefits associated with floating are almost limitless. A floater can experience rejuvenation on so many levels. Regular floating sessions help them experience enhanced memory, concentration and creativity. They sleep better. Many floaters find chronic pain and stress that normally holds their body hostage dissipate. In essence, they feel like a new person because they are a new person. Floating is nothing to be feared or dismissed through ignorance. It is a vehicle for rejuvenation and relaxation. Mind-blowing hallucinations associated with certain types of drugs are an exception in defining the floatation experience. Spending time in an isolation tank is a gateway to peace, not fear. Pregnancy can be gruelling on a woman’s body. For the bulk of nine months, they are dealing with nausea, weight gain, mood swings and all other sorts of things calculated to increase stress. Spending time floating can feel like heaven during pregnancy. Stress release: Once inside the tank, the tension on muscles and nerves can melt away. This helps both mother and baby become calm. Some women can actually use this experience to help their baby kick and roll around with reduced frequency. Taking weight strain away: Floating is offers a semi-weightless environment. A pregnant woman can find relief from the strain and weight of carrying a baby. Relaxation: Pregnancy can make it hard to get a good night’s sleep and can make the entire act sleeping uncomfortable. Floating lets a woman relaxing inside the isolation tank. The pain and pressure on her joints eases and she can feel as rejuvenated as she does with taking a quick nap. Late stage pregnancy relief: The final trimester of a pregnancy is the worst for physical and emotional discomfort. At times, it just hurts for a pregnant women to be on her feet. And it also feels awful seeing an ever-growing belly each day. Floating can take away some of the pressure caused by the weight and help a woman get a better grasp on the emotional roller coaster she is experiencing. Some pregnant women may be concerned about putting their baby’s health at risk if they spend time in an isolation tank. Research suggests floating is quite safe for the unborn fetus in most cases. There are exceptions to the rule. If you are in the first trimester of your pregnancy or have a high-risk pregnancy, you should consult with your doctor before floating.